Are You Making This Internet Marketing Mistake? This common internet marketing mistake is costing you sales. The fix is pretty simple but a lot of people just overlook it. Let’s see if you are making this internet marketing mistake. If you are, let’s look at how to fix it. At a minimum, let’s assume that you are driving traffic to your web site. That’s a good step. But which page are you driving traffic to? Lately, I’ve been looking at a lot of ads. I am using safe lists, traffic exchanges, search engine optimization strategies, classified advertising, advertising on Bing, etc… and I keep seeing a couple of things happening over and over again from a lot of internet marketing people. 1. The page being marketed doesn’t exist. Yes. I am seeing ads where people are promoting a URL that simply doesn’t exist. Maybe they typed the URL wrong when they set up their ad or maybe the page is down. Maybe the page doesn’t even exist any more. The simple solution is to double check all of your ads and make sure you have a valid web site listed in the ad. If you are making this internet marketing mistake, fix it asap! 2. The page isn’t a capture page or doesn’t have a capture form. Even when the page does exist, if you aren’t including a capture form on the page or directly promoting a capture page, you are losing sales! I see this a lot and here is why it is costing you sales. When you are running ads, there is a good chance your page is being presented to someone while they are doing something else. They could be reading an article, checking sales stats, looking at social media, having conversations, listening to music, checking out a funny video, walking down the hallway to a meeting. These folks are not ready to make a buying decision and your ad took them to a page that is asking them to make a buying decision. You’ve lost that sale. You are giving yourself one single shot at closing a sale with a complete stranger who has probably never heard of you. The solution is to either add a capture form to your page or create a capture page and start promoting that. Your capture page should offer some sort of incentive such as a free offer, free trial, bonuses, etc… to entice that visitor to request more information by filling out your form. They are most likely not ready to make a purchasing decision when they first land on your web site. If they do want to know more, chances are, they will not remember where they saw your ad or where your site is. You’ve lost the sale! People like to buy from someone they know, trust, and like. Your TrafficWave AutoResponder can help them get to know you, find out why they can trust you, and maybe even learn to like you in the process. 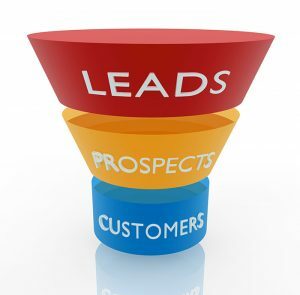 And, of course, your emails can include a call to action with a link to your sales page. Internet marketing can be a very powerful way to build your income, drive sales, and make things happen for your business. But you need to make sure you are giving yourself the best shot at success. Build your list. Follow up. Drive sales.